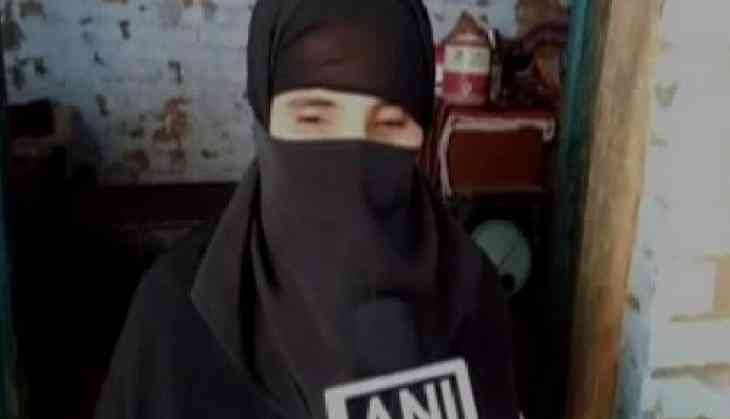 In a shocking incident, a woman has lodged a complaint against her husband who allegedly threatened her with triple talaq, after she gave birth to a girl child. The woman alleged before the police that her husband threatened her to give triple talaq soon. He was also about to marry another woman, after the birth of the girl child, said the woman in her complaint. "I got married four years ago and after eight months of my marriage I came back home. They used to beat and harass me for dowry every day. They even tried killing me many a times. The situation became worst when, I gave birth to a girl baby. They didn't want to accept me nor the child and currently now my husband wants to get married again. I want our Prime Minister Narendra Modi and Uttar Pradesh Chief Minisiter Yogi Adityanath to abolish triple talaq soon," said victim. In his 'Mann ki Baat', last 16 April, Prime Minister Modi dubbed triple talaq as a "bad social practice", saying, such practices can be ended by social awakening. He also stressed that the Bharatiya Janata Party (BJP) does not want a conflict in the society for this. Meanwhile, the All India Muslim Personal Law Board (AIMPLB) has issued appeals to all maulanas and imams of mosques to read out the code of conduct during Friday 'namaz' and emphasise on its implementation. The Board has made it clear that it will not tolerate any interference in the Shariat laws, and claimed that majority of the Muslims in the country do not want any change in their personal law.